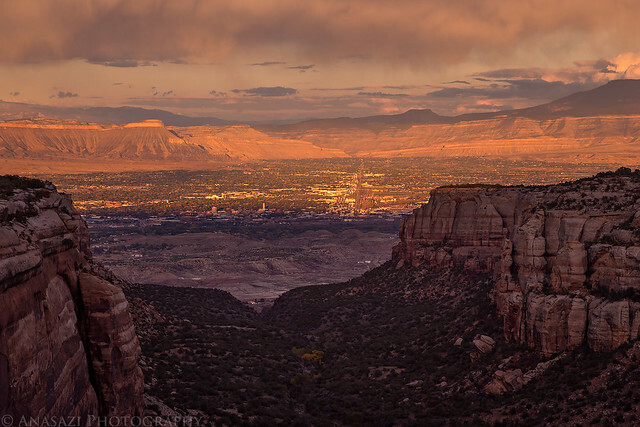 Sunset from the top of Red Canyon overlooking Grand Junction to the Grand Mesa. 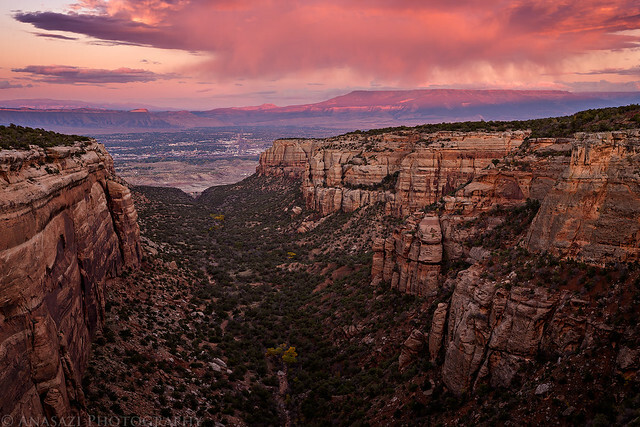 After a few days of rainy weather in the Grand Valley the storms finally started to clear out of the area today, so I decided to drive up into the Colorado National Monument after work to take some photos around sunset. It’s always a great way to spend a couple of hours. Evening light on the sandstone of Columbus Canyon. 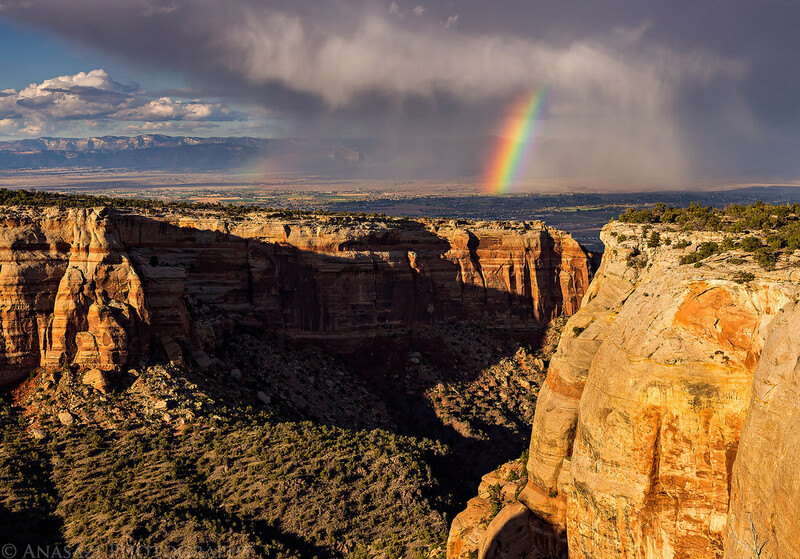 There was a nice little storm over the Grand Valley that produced a very vibrant rainbow. 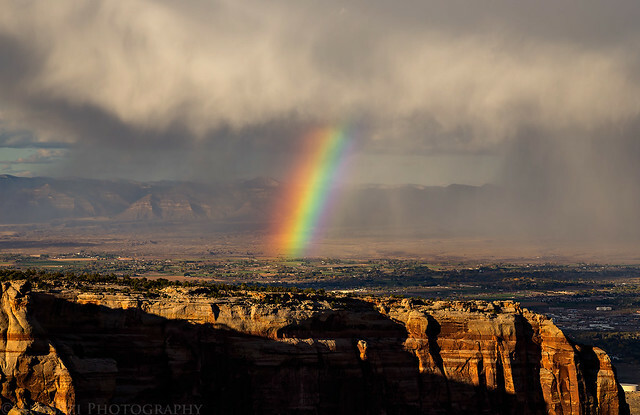 The same rainbow over Red Canyon. I only went as far as Ute Canyon on this visit to the Monument. 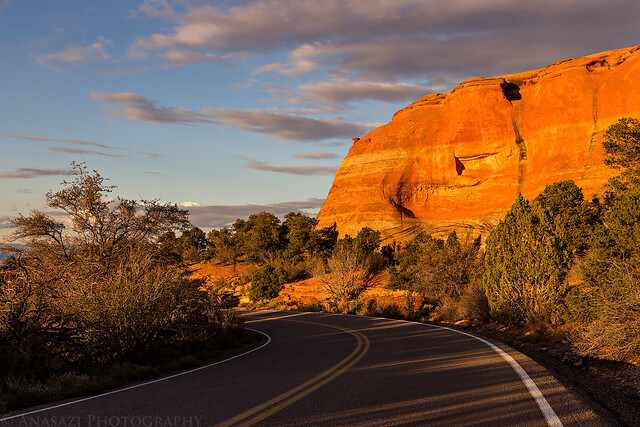 Warm evening light along Rim Rock Drive. Home sweet home. 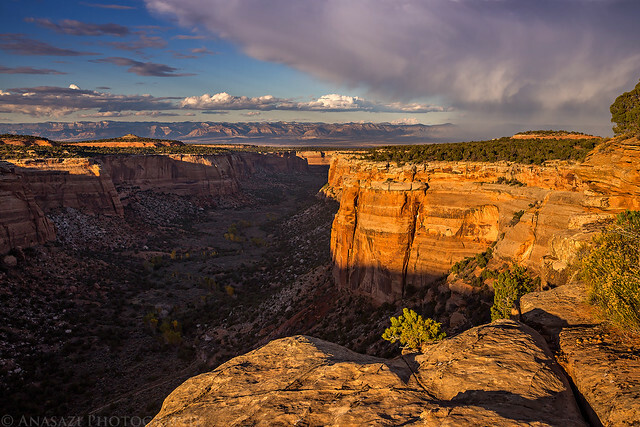 Overlooking Grand Junction from the Red Canyon Overlook. 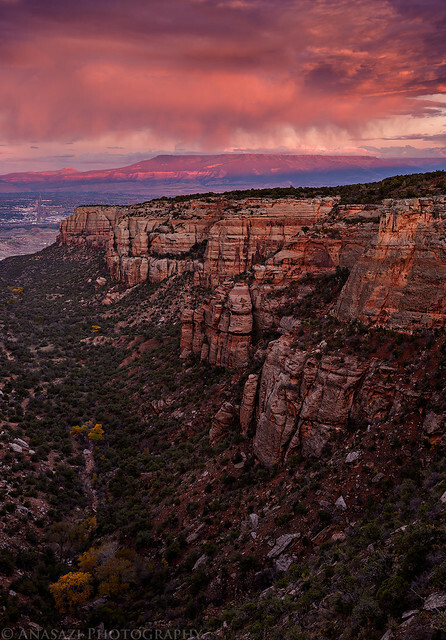 One last view over Red Canyon to the Grand Mesa and Chalk Mountain before I headed home. on our Southwest tour 2015 we waitet for this weather. Moab has been under water this year. Today we travelled from Price (Nine Mile Canyon yesterday) to Torrey. 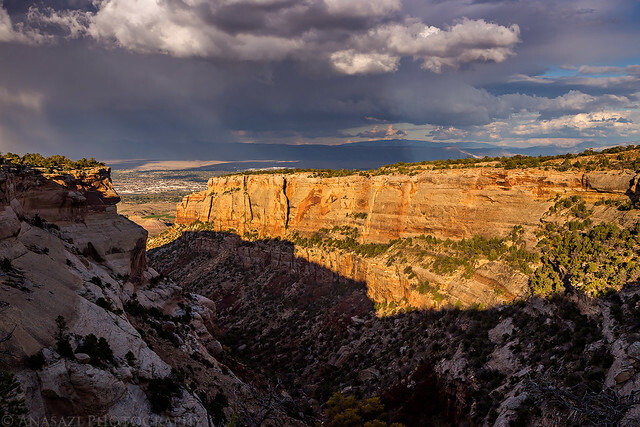 With nice clouds over the Book Cliffs, two hikes and good red light in the evening in the Capitol Reef. Greetings from Torrey. Next stop will be Escalante. And please cross your Fingers for us for the White Pockets and our Wave Day at the First Day of November.